Stegner has proved himself adept in the field of the short novel; he has written one important novel, Big Rock Candy Mountain; now comes this book, neither novel nor short stories-but a book about a New Hampshire village that grows into a town during the vacation season when the visitors bring it to life. 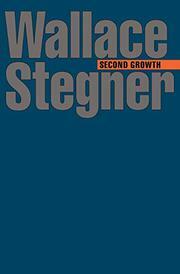 Stegner has given us the town through sharp, perceptive pieces about some of its residents. There is Helen Barlow, who almost escaped, and when drawn back found she couldn't take it; there is Flo, a lesbian, who has some measure of responsibility for Helen's failure; there is Abe Kaplan, tailor, who lives in a tent and who tries to make Ruth, a Brooklyn girl who found herself on the outside at a "restricted" hotel, find some place for herself as his wife in the village; and there is Andy, trying to live down his family's shady reputation; and then there are minor characters, some drawn by indirection, others in sharp, brief encounter. So well done that it will be enjoyed by an appreciative though not a large audience.